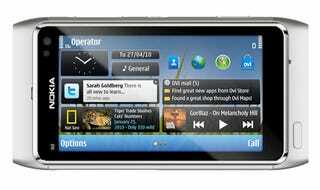 Symbian is being retired for Nokia's flagship range of phones, with the 720p-shooting N8 being the last phone to see the dated OS running on its little body. From now on, it's MeeGo all the way. MeeGo, if you remember, is the offspring from Nokia's Maemo platform and Intel's Moblin, and is intended for tablets and smartphones. The news was announced by Nokia's spokesperson Doug Dawson, who confirmed that "going forward, N-Series devices will be based on MeeGo."